No wet mop absorbs more than this! 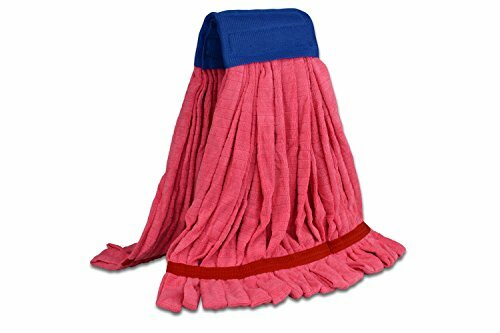 This is a big mop, with big capacity. It's designed for people who are used to using a 24 ounce to 32 ounce wet mop. Dries the floor three times faster than cotton mops! It's perfect for everyday maintenance, but also for soaking up spills quickly and with less effort. Get the cleaning power of microfiber in a looped end mop. Ditch your cotton mops that don't clean very well, and start using the most effective cleaning technology available. Keep high traffic areas cleaner, keep your floors sparkling! If your floors quickly become a wet, snowy or muddy mess, this mop will take care of that in no time. Incredibly durable, these mops just don't wear out. You'll be using it for years and it's machine washable! Be assured by our 365 day money back guarantee, order yours now!